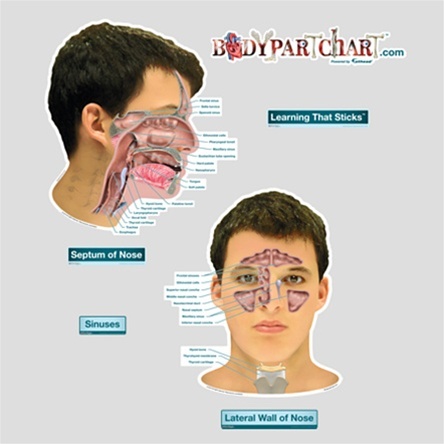 Creating visual impact, this product is a highly accurate, patient appropriate anatomical image of various aspects of sinuses. 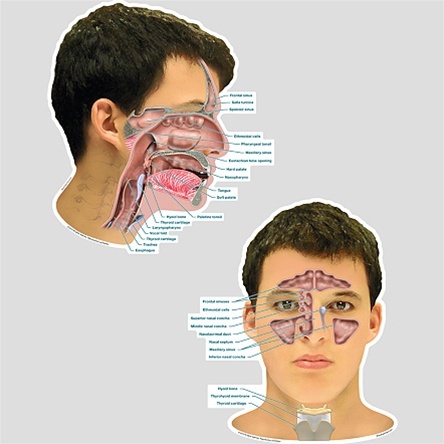 This image shows the lateral wall and septum of the nose. The product is made of high quality vinyl that is durable, reusable, movable, dry erasable, and has a self-adhesive backing. Installation is simplified without the inconvenience of nails, tape, framing, or thumbtacks.